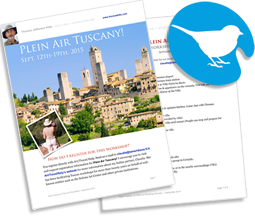 Thomas Jefferson Kitts | Blog: Plein Air Tuscany 2015! Heart and Soul of Italy! September is the the perfect time to paint in Tuscany. The landscape has turned to gold, the days are still warm, the light is clear, and the harvest is underway. If you come to Tuscany with me this fall I'll take care of the details and logistics and all you have to do is paint and enjoy the best Tuscany has to offer. So why not join me this year? Attention Folks: I am offering an Early Bird Discount for this workshop! Register by May 31st and you will receive a 10% discount off the regular price of 1770 - 2320 Euros. But don't wait, people are registering now! • Paint in the ancient hill towns and countryside of Tuscany. 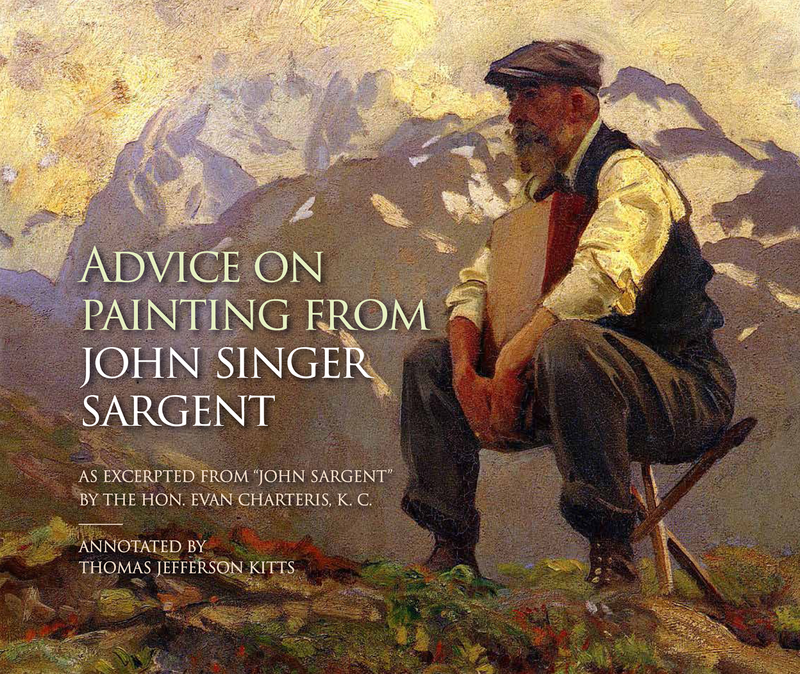 • Personalized instruction from an internationally acclaimed, award-winning artist and knowledgeable instructor. • Gain confidence and improve your skills in a positive and encouraging environment. See immediate results while you are still in Italy. • Fun and exciting activities and events with your fellow students – plus after-hour discussions with me and your new best friends!. • Spend a day in Florence touring little known paintings from the Macchiaioli Painters – Italy's own 19th century plein air masters. "No matter what your level may be, Thomas has a wealth of skills to share, and is adept at keeping your frustration at bay, and the group energy positive. Lots of learning and lots of laughs. I can't recommend this painting opportunity enough. Go for it!" 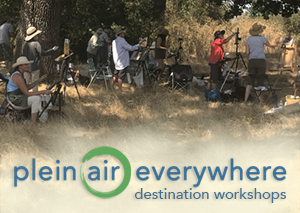 "Practical pointers, great plein air subjects, and a fine time in Tuscany: I'll go back!" 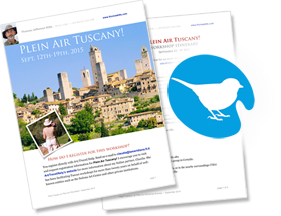 "I had a great opportunity to attend Thomas Kitts' Tuscan workshop in 2014. Thomas is not only a wonderful artist, but is a knowledgeable, kind and generous instructor. The Villa where we were hosted at was breathtaking. We were fed amazing home cooked meals and cared for very well. What a great week it was, making new friends, painting the Tuscan country side and being immersed in the Italian culture. Thank you Thomas!" It will be both fun and instructive. Plus, right now the Dollar is the strongest it has been against the Euro in years, which makes this trip a fantastic opportunity to live your dream!